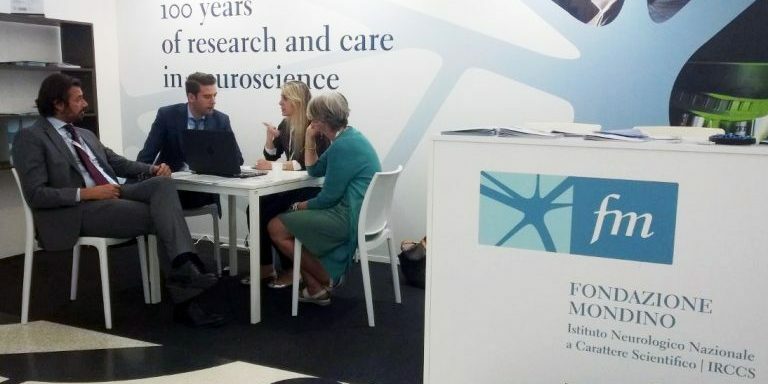 Mondino Foundation has participated in Intercare, Italy’s first international Medical Tourism Trade Fair, at Palazzo delle Stelline, Milan, from the 25th of may to the 27th: apart from sectors like food and lifestyle, Italy has presented its healthcare offers for the first time. Italy indeed, with his excellent healthcare system, the second best in the world based on the Worls Health Organization opinion, is a Country with great potential but still not extremely well known as a medical tourism destination. For patients coming from abroad, the Mondino Foundation’s International Department, organizes an all-inclusive service, making travel arrangements for patients and for their companions. The Hospital offers a full treatment starting from the diagnosis and the hospitalization to the rehabilitation and provides innovative treatments for every neurological disease and it also has a child neuropsychiatry department. At Intercare, during 3 days of meetings, Mondino Foundation could meet over 25 buyers and healthcare operators from 20 different Countries and could attend workshops, conferences and seminars, starting its process to become a more internationalized Hospital.